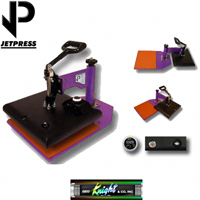 George Knight JetPress 14, 12" x 14" Swing Away is a low-cost, economical heat press intended for start-ups, home use, and non-production oriented heat pressing, features a digital countdown timer, adjustable temperature control and temperature readout. 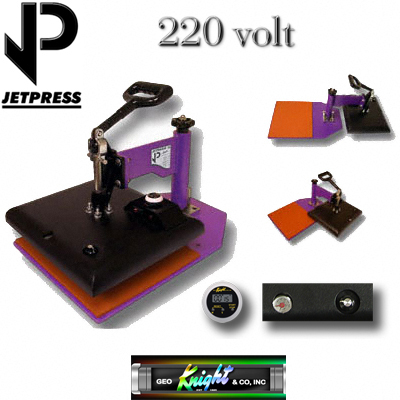 George Knight® JetPress™ 12, 9" x 12" is an economical heat press for start-ups, hobbyists, and non-production oriented heat pressing. 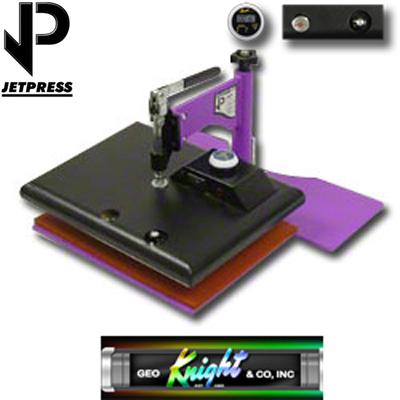 George Knight heat presses use UL recognized components. Features a digital countdown timer, adjustable temperature control, temperature readout, and adjustable pressure.